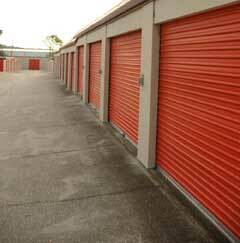 Harris Mini Storage was established in 1989, starting with three buildings consisting of 60 storage units. We currently have 22 buildings and 650 storage units, a long with outdoor parking for boats, cars and RVs. The entire facility is fenced with security gate and cameras. Tenants have 24-hour access. Our units range from 5×5 to 12×40 climate-controlled and non-climate-controlled. Tenants provide their own lock. In addition to locks, we sell boxes and packing supplies.